This was our second concept for the ad - targeting northwest golfers who read Pacific NW Golf magazine and might consider purchasing a home in Arizona to escape the winter rainy season. Our client also loved this concept and plans to use it on future ads. 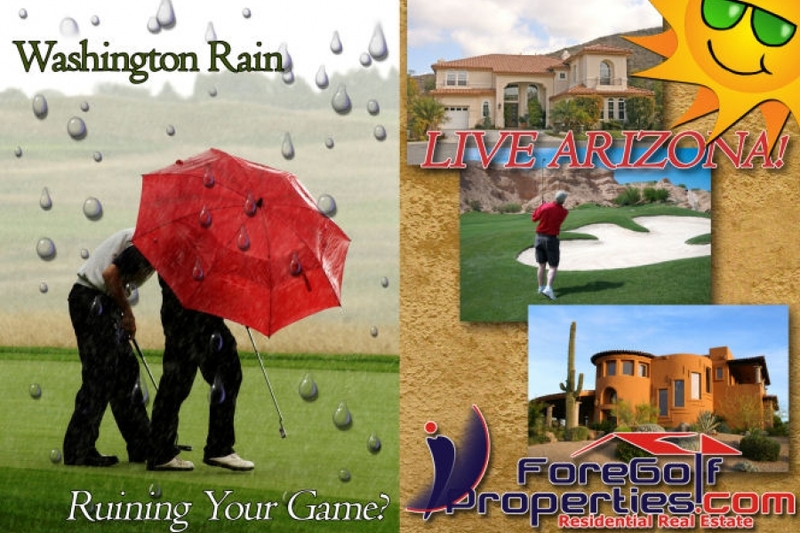 Washington Rain	Gallery: Postcards & Flyers Portfolio	Description: This was our second concept for the ad - targeting northwest golfers who read Pacific NW Golf magazine and might consider purchasing a home in Arizona to escape the winter rainy season. Our client also loved this concept and plans to use it on future ads. Views: 3034	Loves: 0 love it!